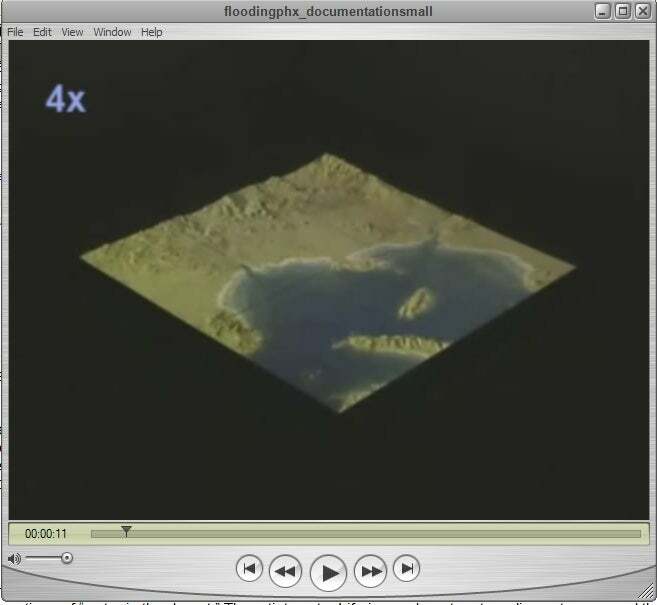 Stills of video projection on terrain model of the Phoenix "Valley of the Sun.". 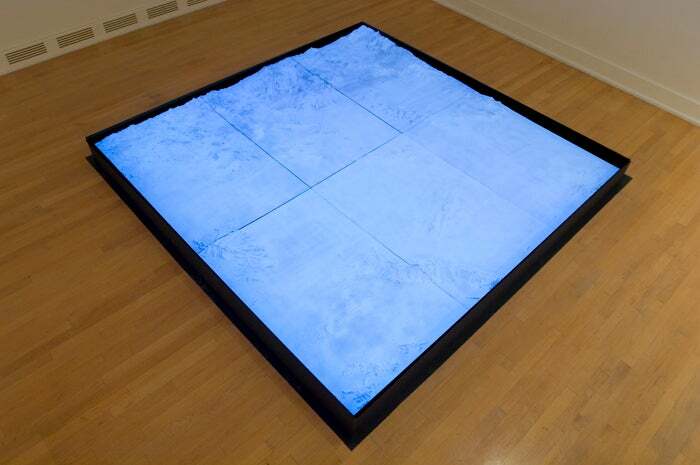 The relief sculpture is 8 x 8 feet by 6 inches high. 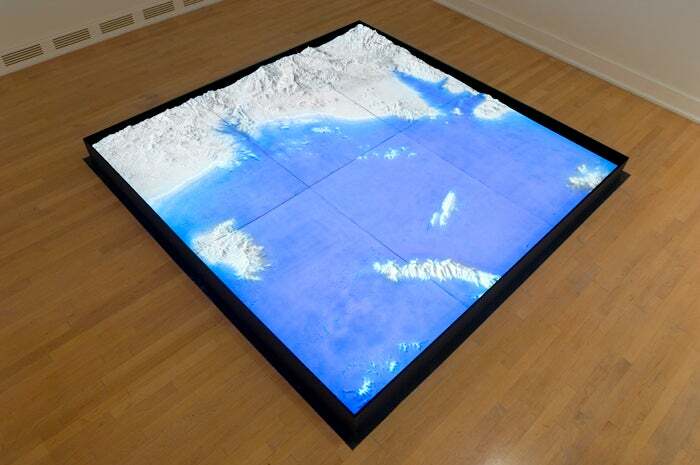 Flooding Phoenix is a video sculpture that brings to life a hypothetical flood event of epic proportions. 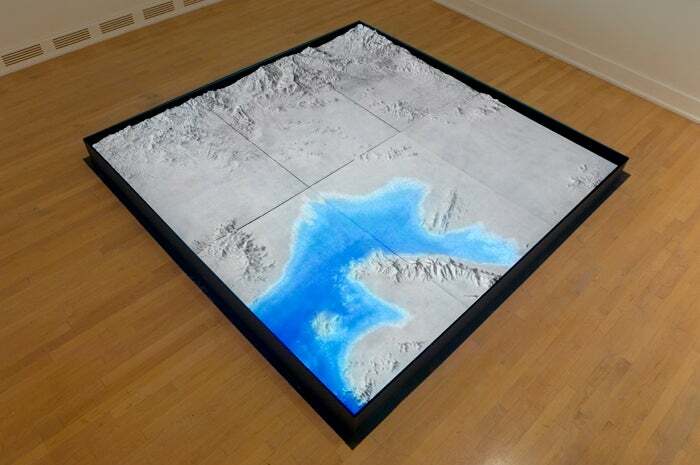 An animation of an exaggerated flood is projected upon a topographic model of the Valley. 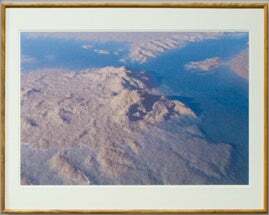 The approximately 8-minute animation depicts the rise of flood waters—which completely submerge areas of Phoenix—and the gradual return of the landscape to an arid plain. The program begins innocently enough. Using real-world maps, 100-year event scenarios and data provided by FEMA and the Flood Control District of Maricopa County, a plausible progression unfolds. Dry river beds are inundated by flash floods. Catchment basins overflow. Low lying areas of the Valley are submerged. Following predictions for a 100-year event, neighborhoods immediately adjacent to major water ways are flooded, including the ASU Art Museum. Beyond short-term cycles, change in the global sea level resulting from melting ice caps leads one to speculate about the possibility of a flood of truly Biblical proportions. 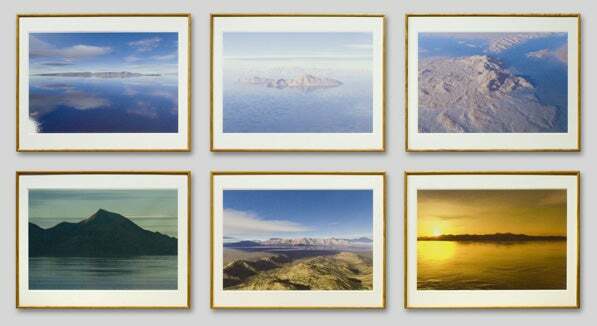 Imagine all of Maricopa County—over 9000 square miles—submerged under an inland sea. The complete erasure of our city happens in minutes. The sculpture, extrapolated from hard data, alters some of our basic perceptions of the Valley. 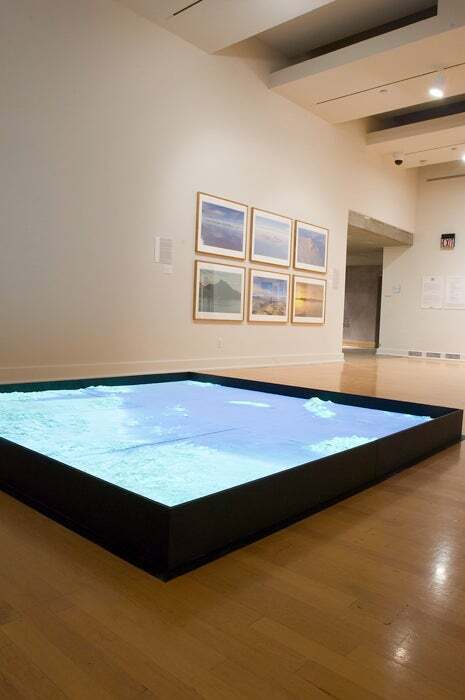 It reveals its subtle geographic features and reverses the usual perceptions of “water in the desert.” The artist wrote: Life in our desert metropolis centers around the availability, use, and conservation of water. The City of Phoenix and Maricopa County are uniquely situated to benefit from not only large volumes of surface runoff from higher elevations to the north and east, but have added reserves in the form of huge underground aquifers and canals connecting the region to distant sources such as the Colorado River through the Central Arizona Project (CAP). Despite appearances, water is a finite resource. An exploding population with an insatiable thirst is running ahead of our ability to sustain constant levels of supply. This “common-sense” picture dominates our understanding of water in the Valley. However, what if Phoenix were confronted with the opposite problem—namely, too much water? In the wake of news reports from the Katrina Hurricane disaster, we have learned that Phoenix too could be inundated in the event of unusual weather patterns. Recent studies suggest global climate changes of epic proportions are underway. Paleohydrological data confirms that the Valley of the Sun has sustained numerous cycles of climate change with corresponding shifts in flora and fauna. What may seem like fiction is—to a surprising extent—grounded in historical fact. The hard data of the flood seen from above is translated into a series of low altitude and ground level images generated with special computer software that allows geographic models to be artificially rendered. Flooding Phoenix: Piestewa Peak, 2006. Digital Inkjet Print, 20 ½ x 30”. It is early morning in north central Phoenix. The sun has just broken the horizon to the east and Piestewa Peak is seen in stark silhouette. The water has risen to a level of 793 feet above the valley floor. Due to the low sun angle, there is a slightly reddish tinge to the atmosphere. The virtual camera is set at a position about 40 feet above the water’s surface. Flooding Phoenix: White Tank Mountains, 2006. 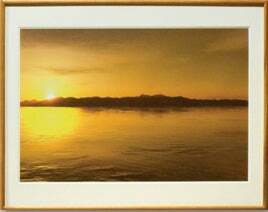 It is sunset. Looking due west, the White Tank Mountains are seen from central Phoenix. The water is shown at a level of 410 feet above the valley floor. The low sun angle combined with 50% cloud cover and 11% haze gives an eerie warm glow to the scene. A virtual camera flare appears due to a reflection calculated by the computer. Flooding Phoenix: Camelback Island 1, 2006. Here the water has risen to a level of over 390 feet. Camelback Mountain has become an island. The scene is created with a 40% cloud cover and 16% haze. 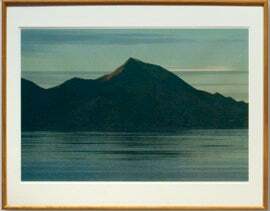 A mild telephoto effect compresses the mountains to the north into a series of overlapping background planes. Flooding Phoenix: South Mountain, 2006. It’s a crisp, clear morning with a few clouds—after a good rain storm in the late Summer or early Fall. The sun has risen to about 25 degrees above the horizon and the water is about 300 feet deep. The scene is created with a 50% cloud cover and very little haze. 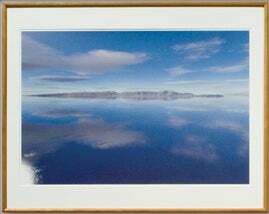 A slightly wide angle effect allows the entire length of the mountain range to be framed in the image. 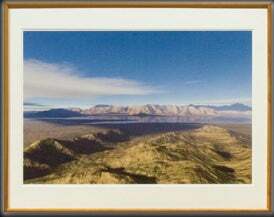 Flooding Phoenix: Estrella Mountains from the top of South Mountain, 2006. This image is generated from a vantage point atop South Mountain at an elevation of about 2230 feet. A low sun angle from the east creates reflections on the water rising around the base of the Estrella Mountains to the west. Cloud cover is set at 50%. A slightly wide angle lens effect is used. Flooding Phoenix: Red Mountain, 2006. The confluence of the Verde and Salt Rivers is seen at a point just to the east of Red Mountain, some 9000 feet above the Valley floor. The water has risen to the point where Red Mountain is nearly cut off from the surrounding landscape and the two rivers converge to create a gigantic lake. The scene was created with 40% cloud cover. A virtual telephoto lens compresses the scene as if shot with a 200 mm lens. These images were created by importing real-world 3D satellite models downloaded from the US Geologic Service into a suite of commercially available computer applications. 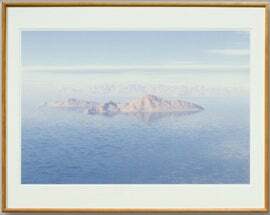 After “stitching” the data sets together using the applications “3DEM” and “Geomagic,” a rendering package called “Terragen” was used to create the visual effects. Terragen allows the user to adjust algorithms—sets of rules—for landscape and atmospheric effects such as cloud cover, water, vegetation, and sun angles. The artist wishes to thank 3D visualization and modeling specialist, Sky Asay, for his significant help in creating both the 3D flood animation and the still images and sculptor Craig Randich who helped in fabricating the topographic relief and attendant display hardware. A sincere note of thanks also to curators Heather Lineberry and John Spiak who organized the New American City exhibition at the Arizona State University Art Museum during the Fall/Winter of 2006/07.